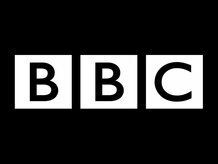 The BBC has started test transmissions of a new technology that will bring HD broadcasts to Freeview inside the next 18 months. As reported on the WotSat blog, the BBC is using the brand-spanking new DVB-T2 compression – with the BBC's Research & Innovation testing a prototype DVB-T2 modem that they have developed. Although current Freeview boxes would be unable to process the signal, the technology's arrival could bring HD quality broadcasts to the terrestrial airwaves – following on from Freesat's free to air HD channels. "This technology will make it possible for anyone to watch hi-def TV through their aerial in just a few years' time, and it just proves how important it is that the BBC continues to do research and development for the benefit of us all," What Satellite and Digital TV Editor Alex Lane told us. Justin Mitchell, leader of the DVB-T2 modem development team at the BBC, said: "We are delighted that our team in collaboration with our partners has been able to deliver such a key piece of technology in such a short timescale. "This is a big step forward in enabling the introduction of full HD terrestrial on Freeview by the end of 2009."